Are you interested in history? Do you start looking forward to Christmas in January? Do you enjoy arts and crafts? 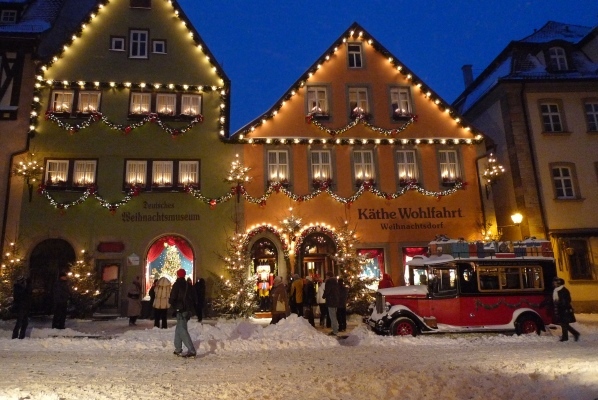 Then the museums and permanent exhibitions of Rothenburg ob der Tauber are perfect for you. We’ll help you get your bearings! What? 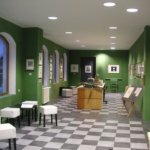 The former Dominican monastery, which was in use from 1258 to 1554, has been the home of the museum since 1936. The walk through the museum leads to the internationally renowned Baumann Foundation. This reveals the history of European weaponry from as far back as the Stone Age right up to the nineteenth century. The Judaica Department displays examples of Jewish culture in Rothenburg; a painting gallery exhibits views of Rothenburg in the works of British and German painters. Fun fact: The well preserved monastery kitchen from the thirteenth century reveals an impressive glimpse into the everyday lives of its erstwhile inhabitants. Be sure not to miss: Take a short break in the cloister gardens next to the museum. What? Instruments of torture, scold’s bridles and executioner’s tools allow visitors to trace the development of the administration of justice through the Middle Ages. The main exhibits include an iron maiden as well as an excellent reproduction of an imperial insignia from the Holy Roman Empire. A special exhibition of Luther and the Witches is dedicated to the witch hunts of Europe. 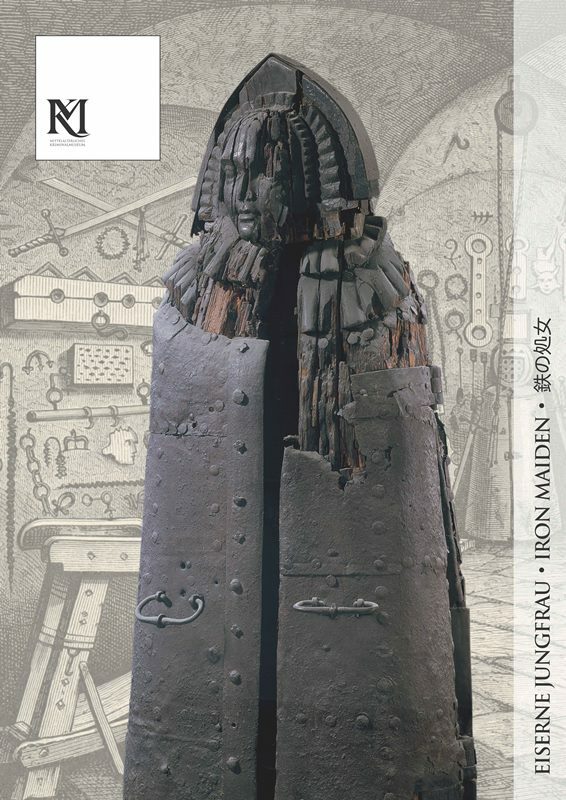 Fun fact: The iron maiden has a starring role in the Crime and Justice Museum. A single demonstration dispels a common myth: In contrast to its literary presentation by Bram Stoker, it was not used as an instrument of torture or murder, but as a sentence of public humiliation. The lethal spikes were only added later. Be sure not to miss: The Giant’s Test in the vault. This involves a doorway made of stone. Anyone who had to duck their head to pass was considered a giant. Anyone above average height had no chance with the ladies. What? 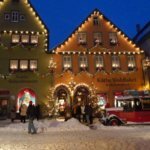 The legendary Christmas village by Käthe Wohlfahrt lets you trace Christmas back to its roots and refresh your memories of your own holiday celebrations. Why do we put up a Christmas tree? How were Christmas trees decorated in the past? Fun fact: One section of the exhibition concerns how the figure of Father Christmas has developed over the years. Did you know that he wasn’t always the jolly old man in a red costume that we see all over the world today? 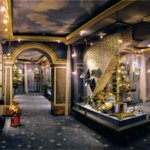 An absolute must: Visitors can look forward to an exceptional collection of nutcrackers, Christmas tree stands and historical Advent calendars. What? 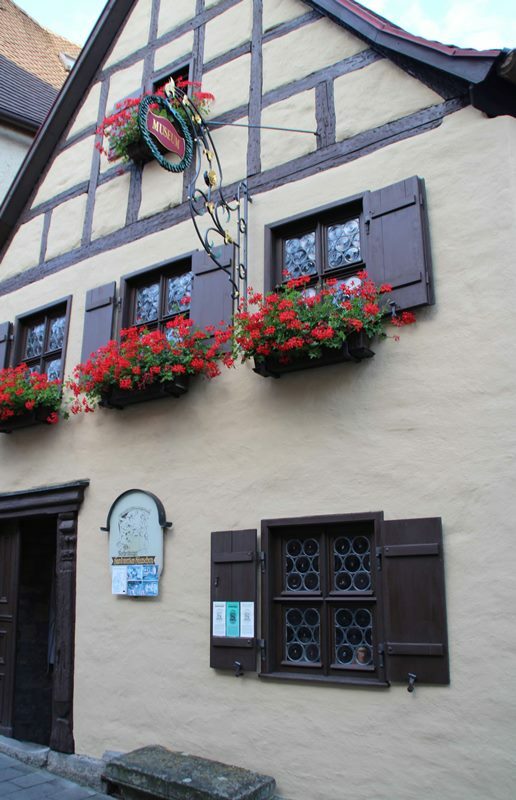 The house is located in the center of Rothenburg’s old city as is conjured through the veils of time. 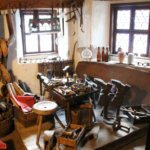 The historical monument from 1270 was home to a wide range of craftsmen over the centuries and was altered little by a later settler. 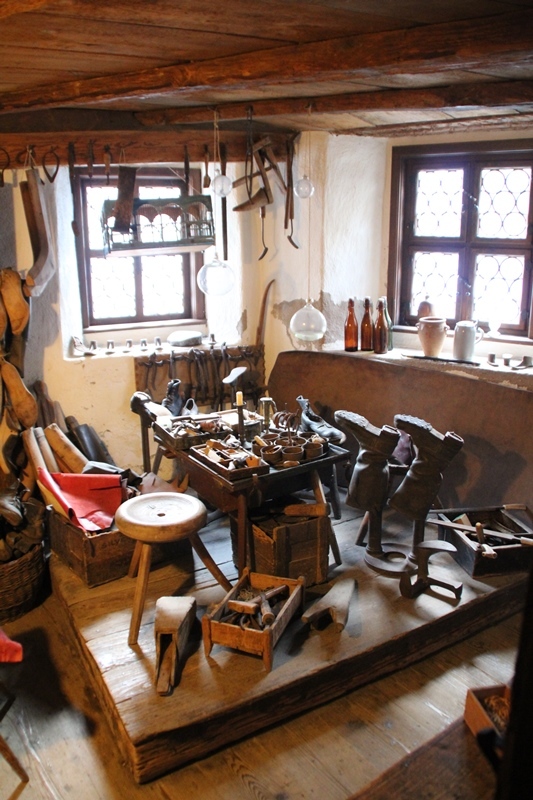 Fun fact: Fortunately, the house was inhabited by a settler during a time when the interiors of other highly interesting Medieval houses were modernized and adapted to changing needs. 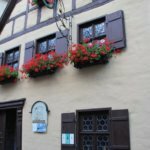 For this reason, no other house in Rothenburg possesses as much historical relevance as this one. The modern age simply passed by unnoticed here at Alter Stadtgraben 26. An absolute must: A visit to the Craftsman’s House combined with a guided tour by Walburga is particularly entertaining. During peak season, this leaves from the Marktplatz each day. What? This collection of artworks combines etchings from the sixteenth century by Dürer and van Leyden, as well as by Rembrandt, Goya, Munch and Renoir with those of contemporary artists such as Hrdlicka, Janssen, Göttlicher, Richter, Fuchs, and Kneffe. You can also make your own in a printing shop. Fun fact: Ingo Domdey is also an artist and acquired many of his etchings by exchanging them for his own works. 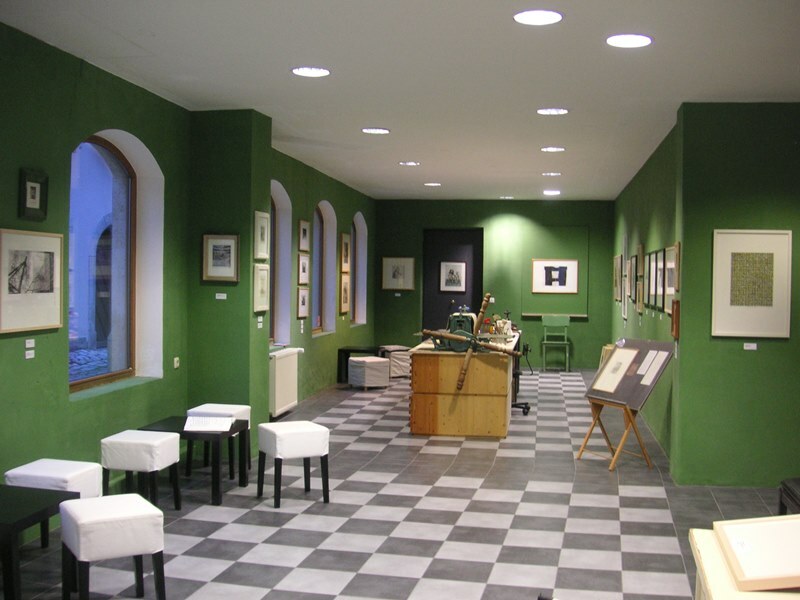 An absolute must: Try it for yourself with Ingo Domdey: A printing shop allows you to try your hand at etching. What? The town was critically hit by an Allied air raid in 1945, but restoration work began shortly after the end of the war. 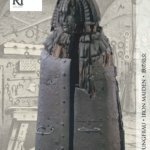 The Alt-Rothenburg Association has documented the destruction in an exhibition. Aerial photography from the time shows the destruction of Rothenburg’s old quarter. Fun fact: The US politician John Jay McCloy (1895-1989) became an honorary citizen in 1948. In 1945, as the Secretary of State’s representative to the Department of Defense, he prevented further bombing of the city – partly due to the fact that his mother was a fan of Rothenburg. He was later President of the World Bank from 1947 to 1949 and help support the restoration of the old city. An absolute must: The Röderturm is the starting point for the Rothenburg Tower Trail – large sections of which follow the city walls around the old quarter. What? The Thirty Years’ War represented a turning point for Rothenburg ob der Tauber. The historical dungeon of the historical festival Der Meistertrunk can be visited to see weapons and uniforms from the era. Fun fact: Those who like it spooky should visit the dungeon’s underground cells. This is also where erstwhile rich and powerful mayor Heinrich Toppler died. The precise circumstance of his death (poison?!) are, however, not historically documented. An absolute must: Are you interested in the era of the Thirty Years’ War? Then book a special guided tour of the subject that also provides a brief overview of the historical dungeon.